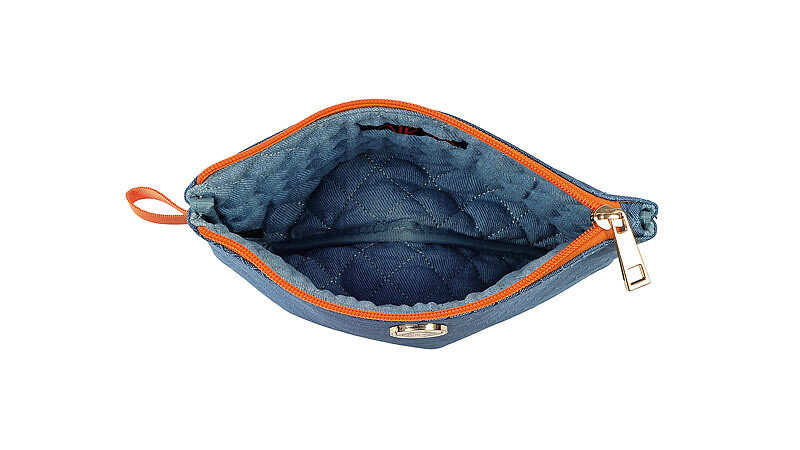 This self-patterned multipurpose bag comes in a striking sea blue colour with a quilted denim interior to keep your goods safe. 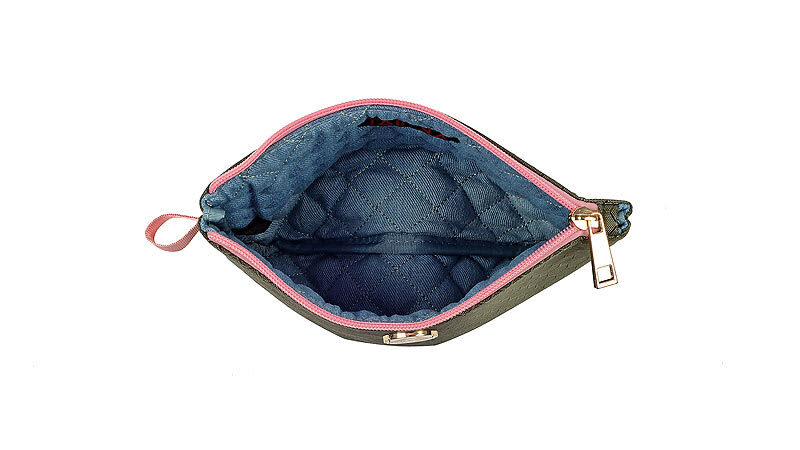 Use this multipurpose bag on its own as a clutch or inside another bag to sort your items. 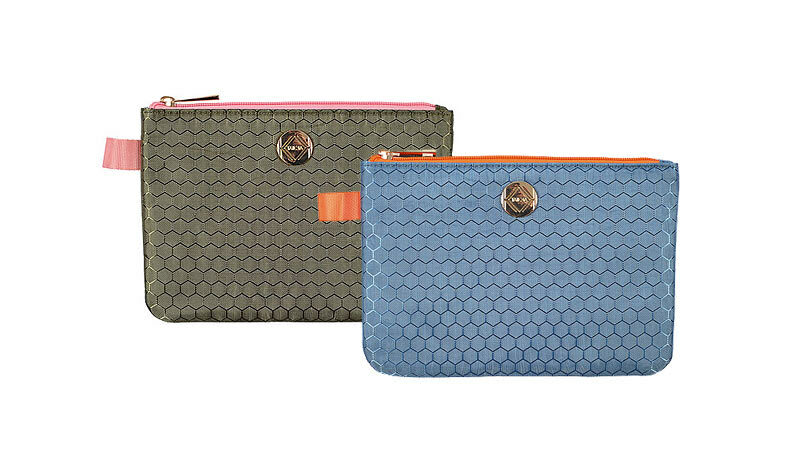 With a striking orange tab and matching zipper this bag can dress up your evening attire.